It is with great sadness that the South African Institute of International Affairs has learnt of the death of former President Nelson Mandela. The Council and Staff of the Institute wish to express their sincere condolences to his family and to the nation that he served so humbly. Nelson Mandela is an icon not only to South Africans but to millions of ordinary people around the world who followed his release from prison to become our first democratically elected president – a man who espoused forgiveness and nation-building rather than hatred and division. He played a key role as an international statesman when he steered South Africa’s successful re-entry into the community of nations after the isolation of decades of apartheid. 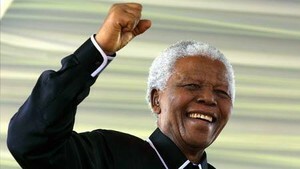 His moral integrity and ability to bring conflicting parties together gave South Africa a unique position as an honest broker on the international stage. His legacy both domestically and internationally is enormous and we are the poorer for his passing. Yet his legacy lies in the preservation of the constitutional state whose first steward he was. We honour his life and his sacrifice by being true to the values espoused in our constitution: human dignity, the achievement of equality and the advancement of human rights and freedoms; non-racialism and non-sexism; supremacy of the constitution and the rule of law; universal adult suffrage; and a multiparty system of democratic government to ensure accountability, responsiveness and openness.